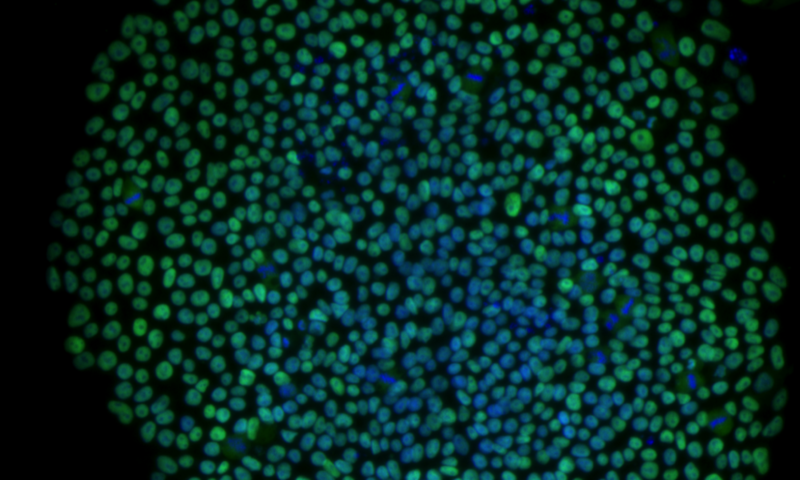 Advances in stem cell culturing and differentiation across the world now make it possible to explore human retinal development in vitro. Our lab uses human pluripotent stem cells (PSCs) grown as 3D “mini-retinas” or as dissociated 2D monolayers to investigate this biology. Using gene editing techniques (e.g. CRISPR-Cas9) we are exploring the fundamental biology of the retina by engineering cells to express cell type specific fluorescent protein reporters and then studying them from the first neural retina cells to the final stages of differentiation. It is hoped that this information will lead to the potential application as a transplantable source of tissue, a model for eye development and a system to develop “disease-in-a-dish” models for retinal degenerative disease.